Authors talking up their books at a book sale. I recently visited a bookstore and spoke to the manager. We discussed how an author might get her book in the store. "I always advise people, make sure you hire an editor." She pointed to a table brimming with books. "This is what you are up against." The case for hiring a professional editor cannot be overstated, not just for self-published authors, but writers going the traditional publishing route. I work with writers. Unfortunately, some believe they can cut corners when it comes to editing. This is a huge mistake. Their reasoning goes something like this: I will have friends read it and then decide if I need an editor. Or - I know someone in the publishing business who offered to read my manuscript for free. Another - If my manuscript gets picked up by a traditional publisher, it will get a thorough content and copy edit. Why pay anything now? I have always recommended you consider asking "discerning" friends if they will do the favor of reading all or part of your book. The key is discerning. I could give my book to any number of people, but whether they can offer an honest and valuable critique is another matter. This is one of the reasons I started the Women's Writing Circle critique group. We are writers critiquing other writers. Friends are not always qualified to help you craft a scene or discuss a character's motivation. Friends, no matter what their background, are not invested in your project like a professional editor who is paid for their services. In addition, people are busy. Asking a friend to read a 200-page manuscript is asking a lot. International Women's Writing Guild book sale. Recently, a woman came to the Circle. She confessed she spent as many hours on query letters as writing her book! Is she a writer? Has she been published? Is she available to meet for coffee? Will she take the time to chat on the phone and go over the editing? Can she catch an error that saves me the embarrassment of having written something inaccurate, or possibly misleading? Is she kind and encouraging? Is she discerning and honest? Will she tell me what works . . . what doesn't? Does she include proofreading with the content edit? Your book is your baby. You put your heart and soul into it. Criticism is hard to accept for some writers, yet criticism/editing is integral to the writing process. It is also rewarding and fun. Why? It is a learning experience. Most of all, at the end of the process you have something much richer than you might have imagined, not just for your readers, but yourself. Sounds like we have a lot in common--I volunteer a lot in the writing community in SE PA, host writing retreats for women, and my blog is "Healing Through Writing." Since I am also a developmental editor, I particularly love the argument you make in this post. As to what people look for in an editor, though, I'd offer some different perspective. You ask if the editor is a writer--I like that, because she will have empathy for what you are trying to accomplish. But I wonder if "Is she published" is really all that important. Writers and editors may share a knowledge base but different skill sets; I'm sure you've met many writers who can't completely analyze what is going wrong in a scene from someone else's work. Many editors, even in interviews I've read with those at top publishing houses, never aspired to write. I'm assuming you put this in because she should have some notion of marketability, but genres are so wildly different in this respect and trends change so quickly that experience in one, at any one point in time, doesn't say much. More important is that she stay up to date on changes in the industry through publications, networking with published authors, and conferences. And, as you point out, these days all things aren't equal in the world of "being published." I would place referrals over publication. As for proofreading: while I keep my pencil moving throughout my developmental edit so the writer can take away as much as she can from her paid evaluation, much of that writing will not be there once the writer addresses the structural problems in the work. I often receive manuscripts back for a second round of paid (for a reduced fee) editing, to check for problems that may have arisen in the restructuring--yet still I recommend they go elsewhere for proofing. Why? Because at that point, I am as invested in the work as the author is, and can benefit just as surely from a fresh set of eyes on the material. Thank you for your comments and insights about editing. Just as an aside, I offer retreats and workshops that place emphasis on writing as a way of healing and making sense of our lives. I hope we can meet sometime. 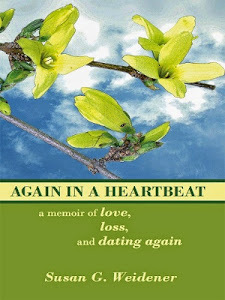 My memoir "Again in a Heartbeat" did that, helping me recover from the loss of my husband due to colorectal cancer. 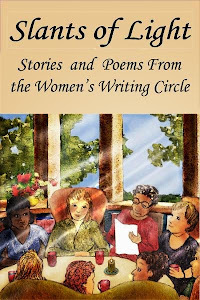 Helping women find their voice through writing is one of the reasons I started the Women's Writing Circle. 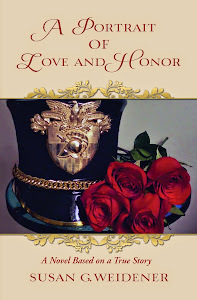 When hiring an editor for my own writing, I look for an editor who has been a published writer. For me, writing and editing are interwoven. Being a writer yourself helps you see the flaws in another person's work, understand the craft and empathize with the process. I find it hard to believe that there has ever been an editor who did not at one time aspire to becoming a published author. But I agree with you that just because a person isn't published, that doesn't mean he or she can't be a fine editor. The marketability of the manuscript is something I discuss with clients prior to editing; who is the audience they wish to reach? This helps the writer define her goals as well as hone the narrative. 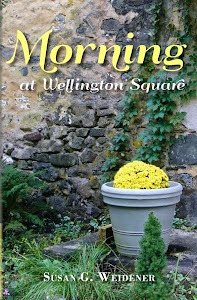 As an author I have many insights into the world of publishing because I have lived it!